Email marketing has long been proven as a potential process in promoting the products and connecting well with the customers. It remains the simplest tool in the market to attract the new customers and install loyalty of your product into them. However, to carry out the tasks related to email marketing, you ought to have a fierce and dynamic tool which can help you get through the difficulties. A good email marketing tool is expected to assist you in all aspects of email marketing and play a catalyst in growing your bucket of customers. Having said that, there are myriad of email marketing tools available on internet which offer their own distinct features. Today we are going to compare and contrast the leading email marketing tools, namely GetResponse and Benchmark which are most popular among the users. We expect that after reading this comparison, you will get to know each of these tools better and feel proficient at picking one out of them. GetResponse is an effective tool which is used by a large chunk of users as a result of incredible features offered by it. GetResponse helps you in each and every step to connect with more than a billion subscribers. The variety of utilities offered by GetResponse enhances the way you can work. GetResponse offers you infinite number of auto responders that can revert to your customers with necessary details and help you earn brownie points. The drag and drop email creator will boost your creativity and bring out the best converting email for you. You can also use photos, videos, social sharing buttons and edit the font at cost of just a few clicks. 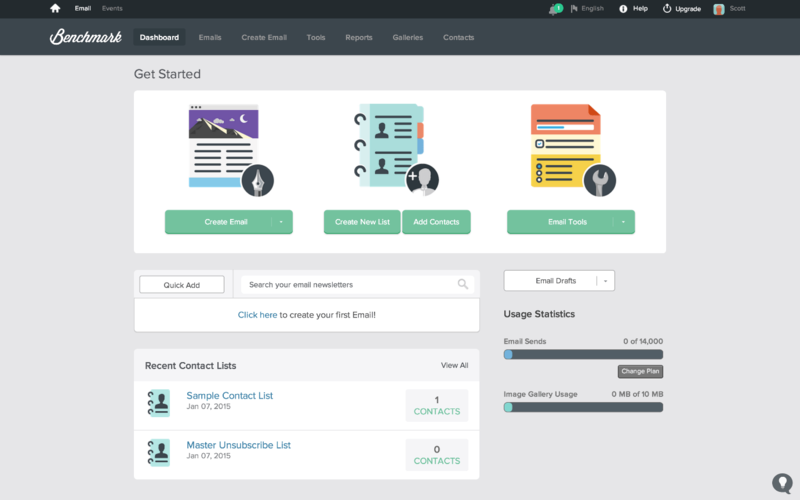 The email intelligence of GetResponse will track and present you with various metrics with hourly data. This will make a way for smart decisions given the type of data you will fetch from these reports. 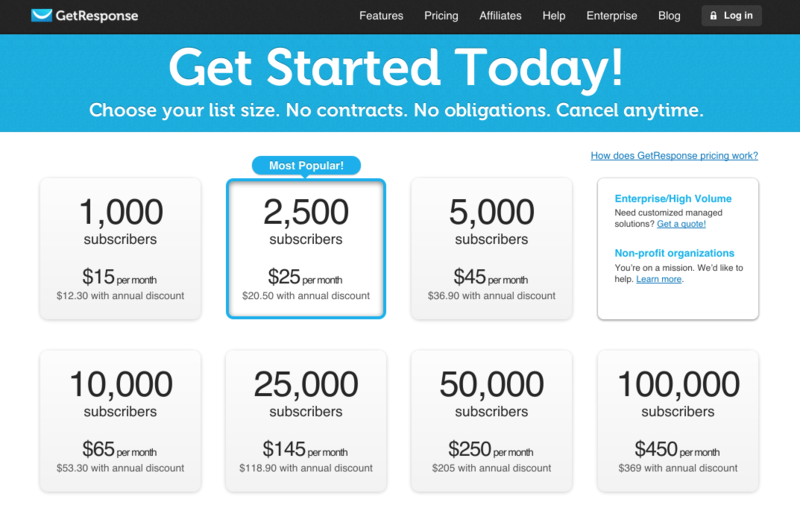 The list booster facilitates importing contacts from different sources like Gmail, you hard drive, etc. The inbox preview gives you a sneak peak of what your email will look like when your contacts receive them. 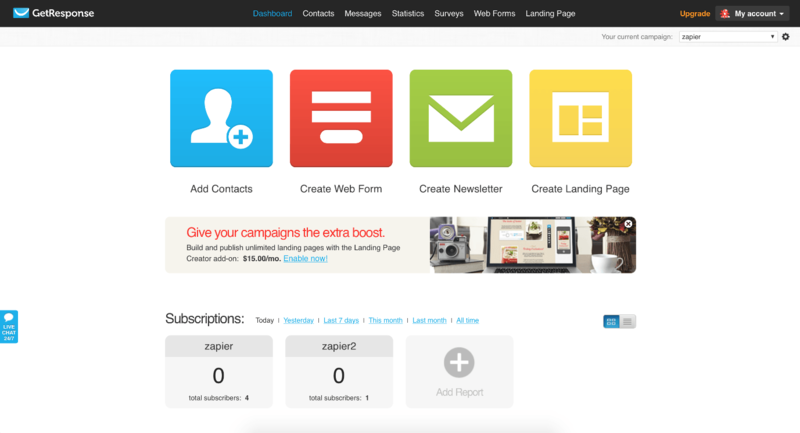 You can choose from various visually appealing landing pages to convert leads. Being responsive enough, you can access GetResponse from your smartphone as well and still expect the same level of comfort while using it. Despite carrying a load of such features, GetResponse assures a hassle free experience and promotes an easy to use environment. You can create test groups and analyse your results in an elegant manner to make further decisions. GetResponse also offers a free trial version using which the beginners can try the tool and then come to conclusion of buying it. Apart from these, there are many in-built tools like real-time report tracker, list booster, etc offered by GetResponse. Benchmark is one of the major competitor of GetResponse which provides almost all the similar features. It generates a concise regular reports of your progress for your campaigns. 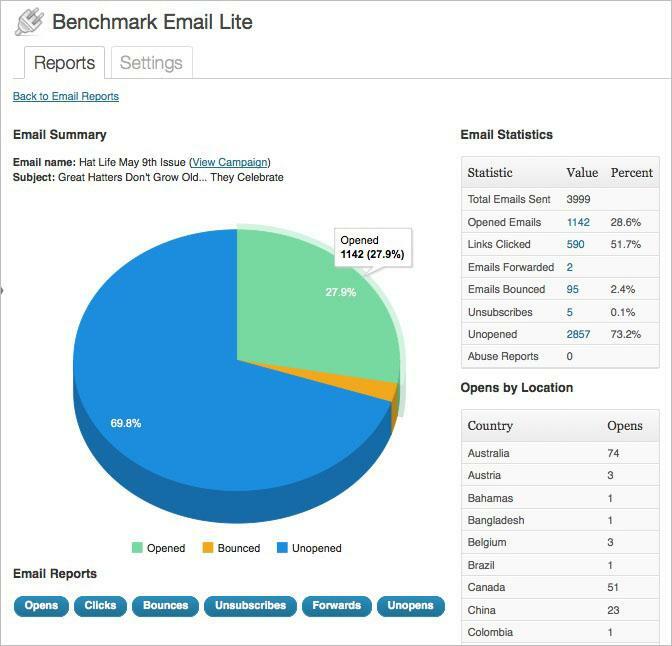 Using Benchmark, you can easily maintain a healthy relationship with your customers. Benchmark is known for the simplistic list management if offers. It come loaded with hundreds of email templates which is most expected to slate your objectives. Benchmark has a handy photo editing tool integrated which is quite simple to use. Broad perspective of colours can be used to customize your email. Code editor is one thing which might get you an upper hand from any GetResponse user. If you know how to use HTML, you can work workout with your email template. With responsive emails you can be assured that your email will respond well irrespective of the device the customer is using. You can use Polls & Surveys to know your subscribers better. You can preview the way your email looks when viewed from different operating systems. Apart from these, there are many plugins available to integrate with Benchmark tool. All you need is to enter some generic information and you can right away get started with custom emails. 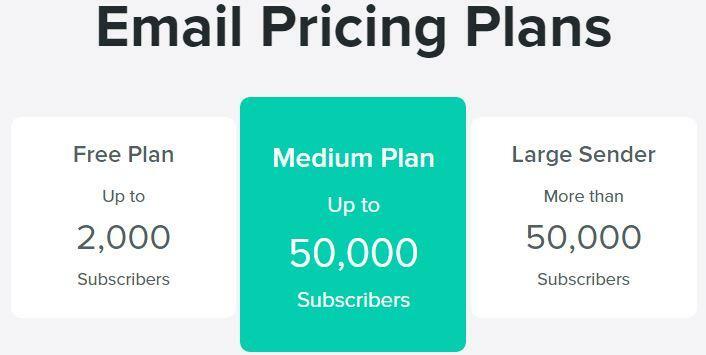 You can initially have upto 2000 subscribers and send upto 14000 emails every month to attract leads. 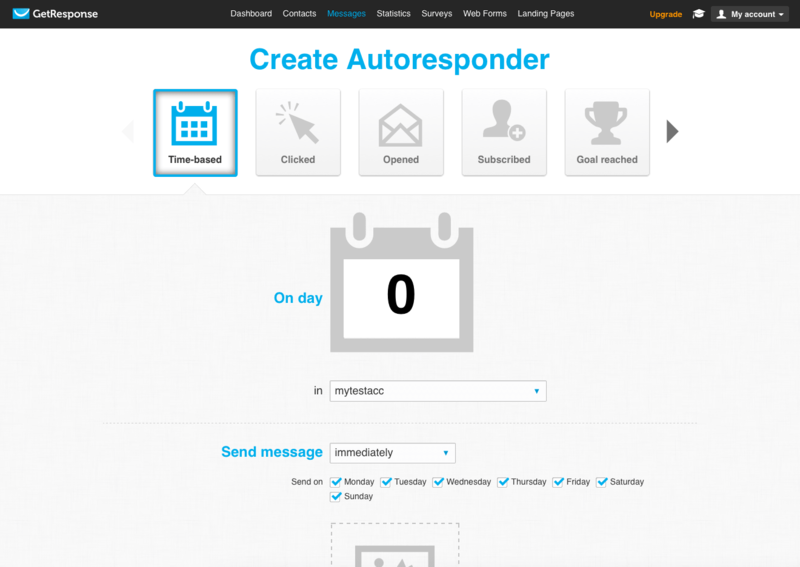 The auto responder system assists you in scheduling the emails for future. It again has various plans among which you can choose according to your requirements. Though if you’re a newbie, I would recommend you to skip Benchmark you might find it a bit costly. Now that we have discussed salient features of both the tools, it’s time for verdict. Having experienced both the tools, I found the templates on GetResponse more alluring. Also, it was marginally easy to use GetResponse than Benchmark. The absence of features like A/B testing and Inbox preview would again drag my vote to GetResponse. Moreover, if you checkout the pricing plans for GetResponse and Benchmark, you will find that GetResponse emerges as a cost effective tool. Choosing a potent email marketing tool is essential as this would affect the end results substantially. Hence, now I leave up to you in settling down for a convenient tool from GetResponse and Benchmark.